The MASCHINE STAND is an essential accessory for anyone using MASCHINE. It fits both first generation MASCHINE models and the new black and white MK2 hardware controllers, and includes a Mounting Adapter for use with standard drum hardware. 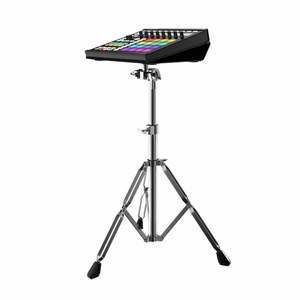 Made of robust aluminum, with a black anodized finish and rubber pads for non-slip grip, the stand is designed to provide a strong hold, maximum visibility and improved ergonomics for both studio and stage. Please note that the MASCHINE STAND is not compatible with MASCHINE MIKRO or MASCHINE STUDIO. The MASCHINE STAND fits neatly into typical desktop environments, with just the right 15� angle for maximum visibility, ergonomic beat production and ultimate no-wobble, non-slip stability. The stand is rugged enough for any stage, and comes complete with a sturdy, die-cast Mounting Adapter, letting you mount your MASCHINE like a snare drum on standard 7/8� drum clamps. 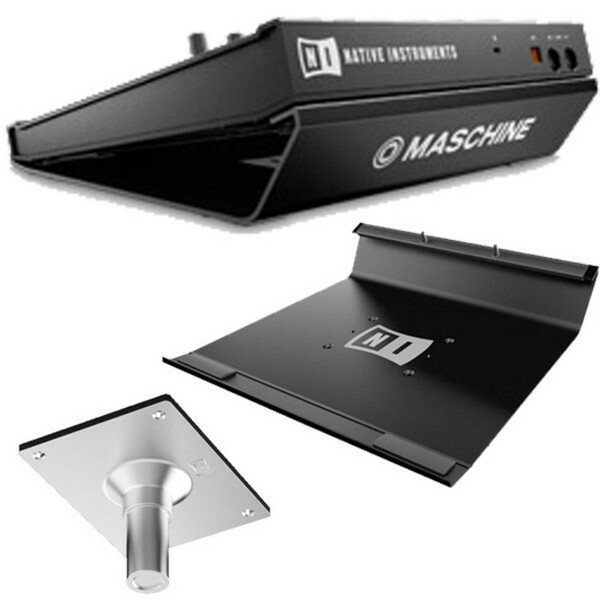 Ideal for integrating MASCHINE into your drum setup, or just to hold your MASCHINE at exactly the right height for optimum visibility and positioning when performing live.